Kelvin Gastelum isn’t backing down from his prediction of a first-round knockout over Robert Whittaker. 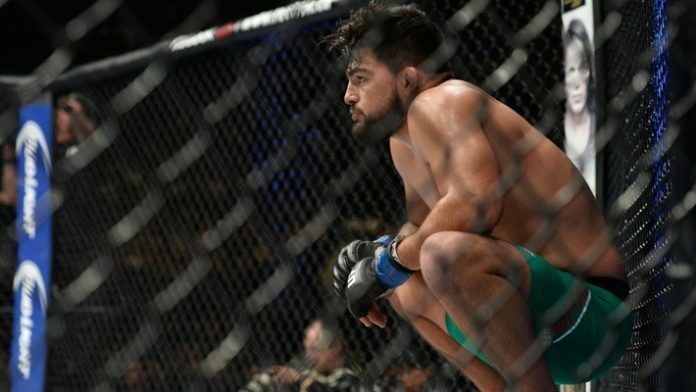 Gastelum will challenge Whittaker for the Ultimate Fighting Championship (UFC) middleweight title this Saturday night (Feb. 9). It’ll be Gastelum’s first 185-pound title shot. The middleweight title clash will headline UFC 234 inside the Rod Laver Arena in Melbourne, Australia. As for Whittaker, he believes he’s too strong and too fast for Gastelum. The champion puts a lot of stock in his two battles with Yoel Romero. Whittaker won both bouts and had to overcome adversity as he was almost stopped in the rematch. Time will tell who will get their way. Be sure to stick with MMANews.com for live coverage of UFC 234. Can you see the UFC 234 main event ending quickly?